Location: Weinan is situated in east-central of Shaanxi Province, separated from Shanxi and Henan provinces by the Yellow River. It is bounded on the west by Xian, neighboring Yan'an in the north. The Qinling Mountain in the south is the boundary between Weinan and Shangluo. History: Over two thousand years after the Zhou Dynasty (11th century BC-221BC), Weinan was sheltered below the emperors of twelve dynasties as the capital environs and gradually, being advanced in agricultural and handicraft industries, and in commerce and transportation as well. It was until 1723 when the Qing government established eight counties and prefectures in this region that the current administrative framework of Weinan began to show its early form. Physical Features: The Weihe River flows through the city forming the central fluvial plain of the city. Centered the plain, two mountains are located in its north and south parts. The Yellow River pours southward along the east edge of the city and takes in the Weihe River. Climatic Features: Weinan lies in warm temperate zone bearing a continental semi-humid, semi-dry monsoon climate, featuring clear four seasons and abundant sunshine. Winter is cold and dry, while summer is hot. The annual average temperature stays between 11.3-13.5C (52.3-56.3F). Mt. 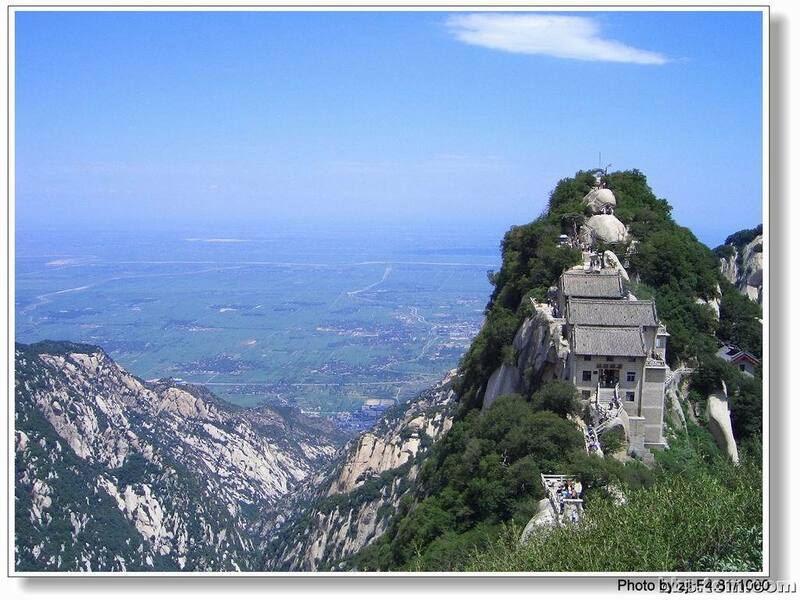 Huashan: Located in Huayin County, 120 kilometers (75miles) from Xian, Mt. Huashan is crowned as the most precipitous mountain under heaven and ranks as one of the five most famous mountains in China. Consisting of five perilous peaks, the mountain displays all spectacular and fascinating landscape for visitor to have an eye feast and breathtaking experiences. The Xiyue Temple, the number one temples of the 'five famous mountains' 5 kilometers (3 miles) north of the Mt. Huashan, is also an essential part of the Mt Hushan. Longmen Scenic Area: Longmen Town is 30 kilometers (19 miles) north of Hancheng City. Being a vital part of the Qin-Jin Gorge that is regarded as the 'Three Gorges in North China', Longmen supplies grand scenes of Yellow River, boasting of the shortest bridge across the great river.